What is coding and why is it useful? Coding allows us to create computer software, apps and websites. A computer can’t function without someone installing code so that it can function in the way that we want it to. In a technology rich world the skill of coding is valuable. “In the US alone there’ll be a million more computing jobs than computing science graduates by 2020.” Reference – abc.net.au , “Coding crisis: getting tech skills taught in schools”. I realise we are not the US but you get the picture. “The STEM (Science, Technology, Engineering and Maths) shortage – In Australia we’re already languishing near the bottom of the OECD in creating students interested in S.T.E.M.. Australia actually imports more STEM graduates than it educates at university.” Reference – abc.net.au , “Coding crisis: getting tech skills taught in schools”. What do we do at PBAS? Currently at PBAS we do very little around Coding and Programming although we have had and used Lego Robotics for a long time and dabbled in the use of BeeBots. This has tended to be at higher year levels or to select groups rather than across a wide range of students. With the introduction of iPads we now have a resource that is easily accessible and able to introduce and help us teach concepts around coding. 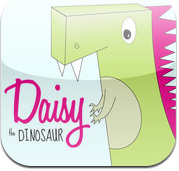 The apps Kodable, Hopscotch and Daisy the Dinosaur have been put on the iPads during the holidays and offer a range of coding options from junior primary to senior secondary. 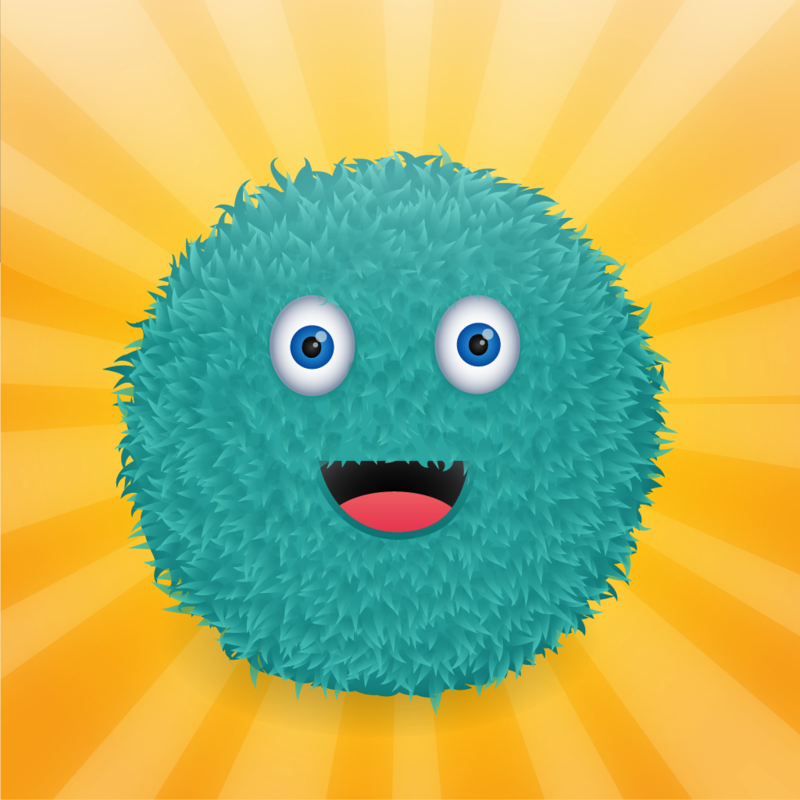 The Kodable app also provides teacher learning guides to assist with the app. 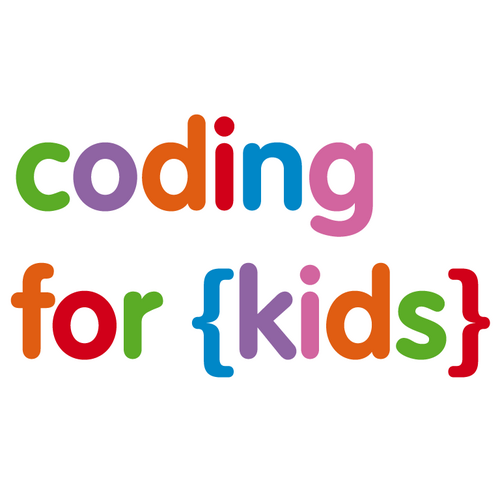 Where does coding fit in the Australian Curriculum? I have had a look at the Technologies – Digital Technologies R-6 Australian Curriculum and found where where this learning fits. I have created a single A4 page that outlines this information for teachers. Click here to see this document. I have provided some videos below to help with the introduction of the coding apps on the iPads. In addition to this post I am also planning to discuss coding in the week 2, term 2 Primary team meeting. I am hoping we will have the chance to play with the iPads to see how the coding apps work and discuss the idea of teaching students simple coding concepts. ACARA has released three new videos to support the Australian Curriculum. If you would like to see other videos created by ACARAedau click here. Includes videos on senior maths, science, history, geography and English. Box four in the Learning Design Framework asks us to consider: What evidence will enable us to assess the intended learning? To do this effectively we need to have a solid understanding of different types of assessments and their purpose. To assess effectively we need to ensure that we collect a range of assessment types and that we are giving students multiple opportunities to demonstrate their learning of a concept. Assessment For, As and Of learning helps us to determine the purpose of assessment. View the presentation and video and then answer the questions below in the comments section of this post. 2. Consider and then list the “Types of Evidence” that you have (or will have) collected to assess this activity/task/concept. 3. What has been the purpose of the assessment? Assessment For, Of and As learning. Have you covered more than one assessment purpose? 4. Do you focus on one type of assessment more than another ie most of my assessment falls into the Assessment For and Of Learning with less in the Assessment As Learning. I need to try and get my students considering how they learn and assist them to self reflect and question what they are learning. 5. 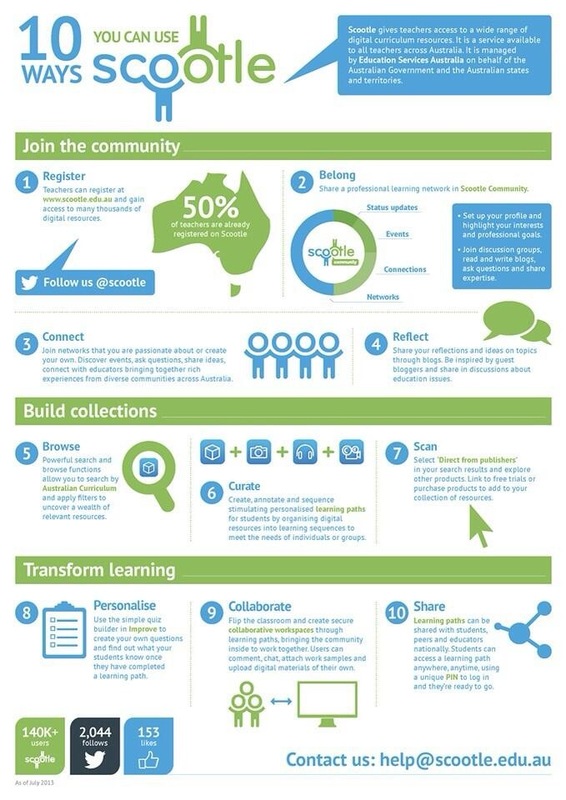 How do you collect and build a picture of student learning? Do you use a take home book with work samples, a portfolio folder, a digital portfolio, a filing cabinet containing work samples etc? Below are some of the points from a Power Point sent to me via Trish Boschetti. These points explain where the Australian Curriculum is currently at and some future timelines. ACARA on track to complete development of the F(R)-10 Australian Curriculum by the end of 2013 (Stage 2 Languages – early 2014). Geography F-10 approved by Ministers 10 May, implementation timeline to be approved. The Arts – approved by Ministers 30 July, implementation timeline to be approved. -Chinese and Italian – revisions occurring following public consultation. Technologies (Design and Technologies and Digital Technologies) – revisions occurring, validation of achievement standards next week. Health and Physical Education – final revisions occurring. Civics and Citizenship – revisions occurring, validation of achievement standards next week. Economics and Business – revisions occurring, validation of achievement standards next week. National Trade Cadetships – Work Studies Years 9-10 – draft curriculum being written, expected to be released for public consultation later this month. Work samples – Supplement the samples already in the portfolios for English, Mathematics, Science and History. Provide work samples for all other learning areas/subjects – ongoing. Thank you to Trish Boschetti for sending out the following links to websites set up by the professional bodies associated with the following subjects areas: Arts, maths, science, English, history and geography. The professional associations responsible for the following websites are: Australian Association of Maths Teachers, Australian Science Teachers Association, Australian Association for the Teaching of English, Australian Literacy Educators Associations, Primary English Teachers Association, History Teachers Association of Australia, Australian Geography Teachers Association and Education Services Australia. 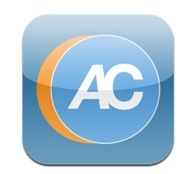 These sites have been developed specifically to link directly to the Australian Curriculum. Big ideas The big ideas that underpin the mathematics are explored and explained. Misunderstandings Some common misunderstandings and their causes are described and analysed. There is teaching advice, and activities, designed to avoid or correct these misunderstandings. Good teaching Key content is explained thoroughly. There are suggested teaching approaches and many suitable activities. You will find videos, slide presentations, worksheets, digital learning objects and more. Assessment Aspects of assessment are discussed. Activities Student activities that appear in other parts of the drawer have been collected here. However, many of the pages contain further suggestions and ideas for other activities. Downloads All downloadable files, such as student worksheets, teacher notes, activity templates and video transcripts, are available here. 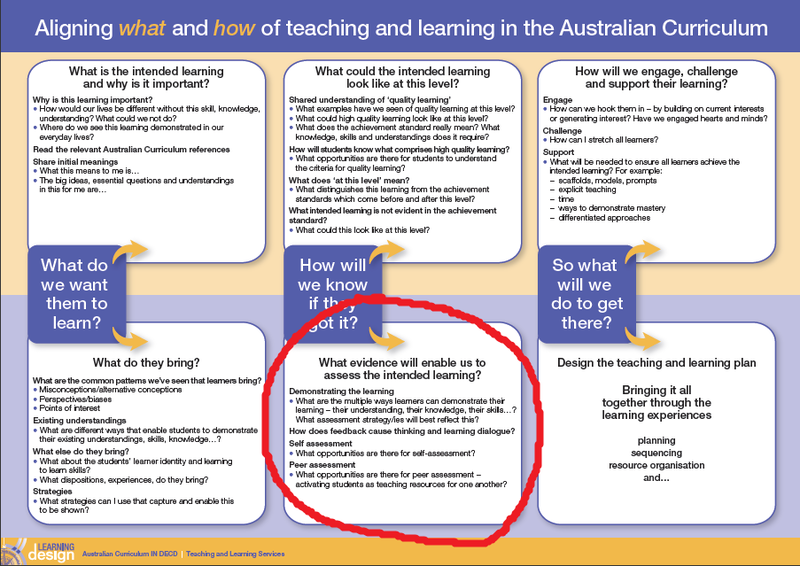 The other day Paul alerted me to the fact there is now a link between the Australian Curriculum document and Scootle. When you look at the content descriptors for a particular year level and subject area you can find the Scootle link by clicking on the letter/number in the brackets found at the end of each individual descriptor. By clicking on this you get an elaboration of the content descriptor. As well as the elaborations you also get a link to the Scootle website which then lists all their relevant resources that have a link to the content description you are looking at. What is Scootle? Is it worth creating an account? This site provides resources for teaching the Australian Curriculum. The site provides the following search types – learning objects, images, audio, video, collections, teacher resource, assessment resource and data set. The site allows you to create your own personalised learning paths which save resources in folders for future reference. Below is a more detailed info graphic explaining Scootle. To create a Scootle account log into Scootle by clicking HERE. Once on the Scootle page you will see in the top right hand corner “New to Scootle? Teachers can register here!”. Click on this link and follow the prompts to create your account. Click HERE to access the Scootle user guide. This is in PDF format and can be saved to your PC. This document can help you with any questions you have about Scootle including how you create Learning Paths for you and your students as well as how students access the content you find on Scootle. Trish Boschetti sent me an email with the following links. 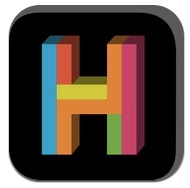 Some useful sites for Geography teachers. This looks like a great new resource produced by the ABC. The statement below is taken directly from the site. 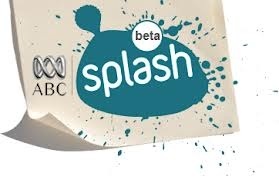 ABC Splash brings you the best Australian content from across ABC TV and Radio plus high-quality video from around the world. Not only is there a great range of resources it is also connected to the Australian Curriculum. Definitely worth putting in your favourites. Click here to visit the ABC Splash site to view a quick video explaining what ABC Splash is about. 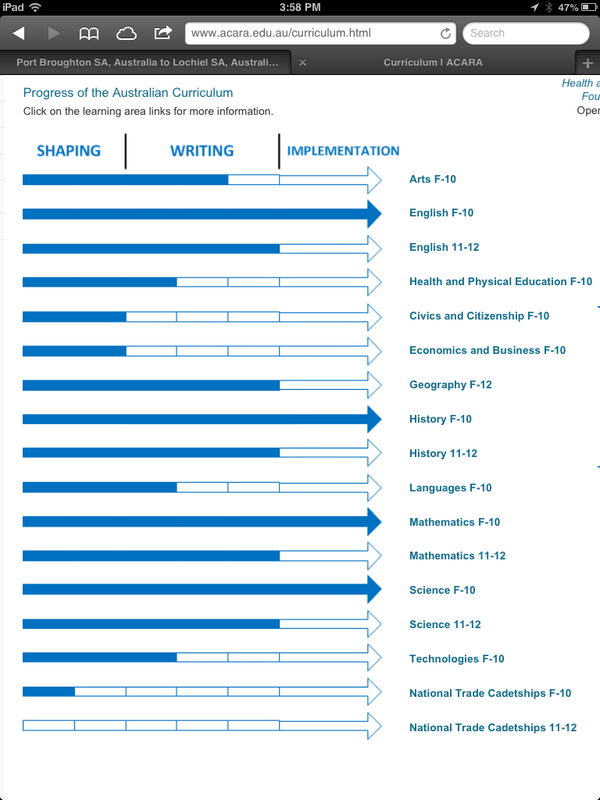 Here is a quick overview of where ACARA is with all areas of the Australian Curriculum. If you click on the image below it will take you to this diagram on the ACARA website. You can then click on the curriculum area name to the right which will take you to a page with more detail about that area.